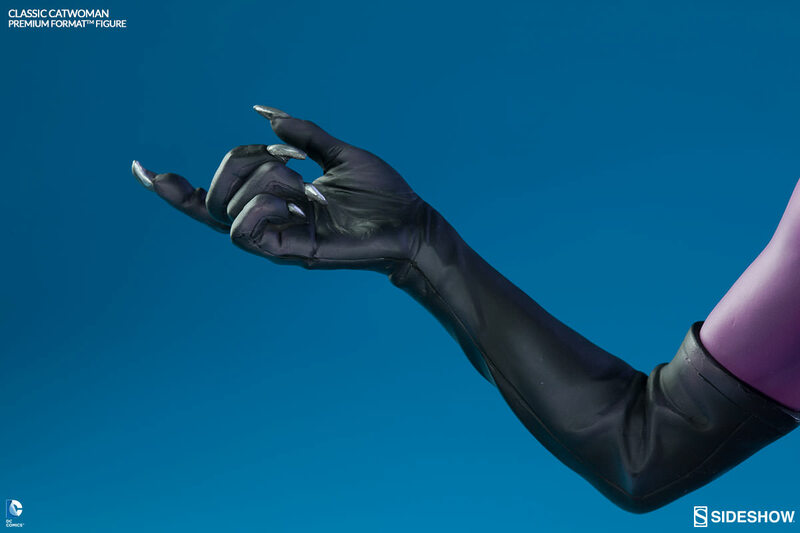 Sideshow Collectibles presents a new Catwoman Premium Format™ Figure based on her classic 90s design popularized by artist Jim Balent. 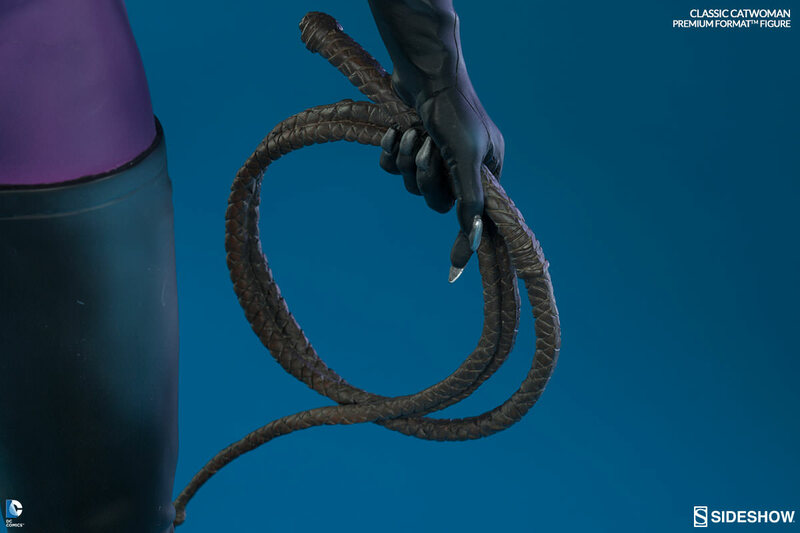 Catwoman (alias Selina Kyle) summons you as she readies her whip and cracks a sly grin. Here vibrant purple costume draws the eye to her presence, and she stands atop a gothic decorative display stand. This piece is designed by Kris Anka (Design), Zane Yarbrough (Design), Dylan Forman (Design), Mark Newman (Sculpt), Earl Ellis (Sculpt), Martin Canale (Sculpt), Avinash Hegde (Sculpt), Martin Demonte (Sculpt), James Lareau (Sculpt), Adam Smith (Mold & Cast), Chadwick Andersen (Mold & Cast), Kat Sapene (Paint) and The Sideshow Collectibles Design and Development Team. 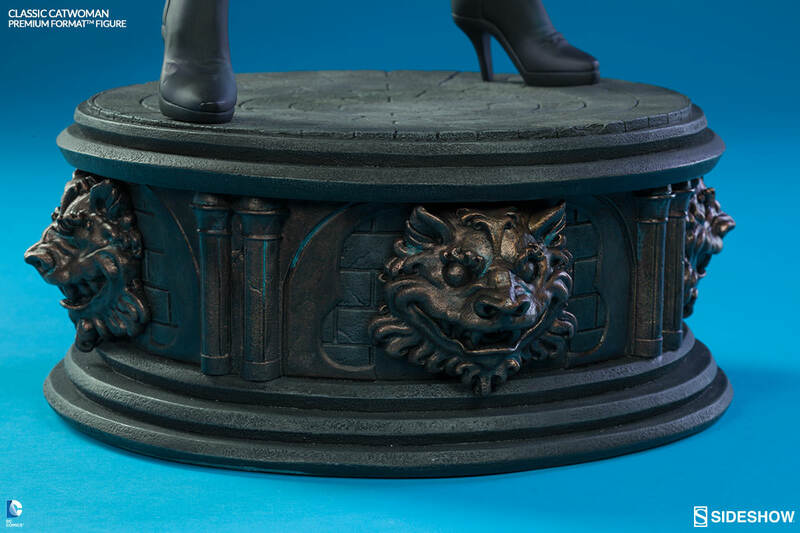 This statue stands 22.5" H x 12" W x 12" L.